Dalkey Archive Press, 9781564781444, 240pp. Farley, a seventy-five year old man, lies on his bathroom floor, having just suffered a stroke. As his mind sifts through his past, we are introduced to the loyal friend he once was, his loving wife, the city of Dublin, and the question of how this very ordinary man has become so lonely at the end of his life. Told in reverse, from Farley's penultimate day to decades before, Christine Dwyer Hickey's bestseller is a jarring look at a life up close. 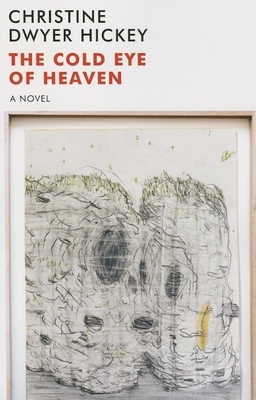 First published in 2011, The Cold Eye of Heaven shows Dwyer Hickey's lyrical prose at its best: rendering sorrow, joy, wisdom, and humor in equal measure. Acutely insightful, this is an eerily accurate portrait of what it's like to grow old. Christine Dwyer Hickey is an award-winning novelist and short story writer. Twice winner of the Listowel Writers' Week short story competition, she was also a prize-winner in the prestigious Observer/Penguin short story competition. Her best-selling novel Tatty was longlisted for the Orange Prize and shortlisted for the Hughes & Hughes Irish Novel of the Year Award. She lives in Dublin.